Your Window Treatment & Awning Specialists! Before and after hour appointments available by appointment. As a Hunter Douglas Gallery, we carry a wide variety of high quality blinds, shades, and shutters to meet any window treatment need. Enjoy peace of mind when you buy Hunter Douglas with the Right Choice Promise. Visit our gallery for full-size displays, and enjoy a free consultation. 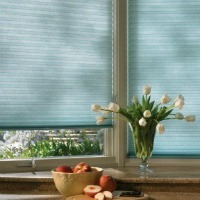 We also offer the latest in window treatment motorization and other innovative window covering lifting systems. For all your window fashion needs, we've got you covered! With our own in-house workroom and extensive fabric selection, we design and create fabric window treatments, custom bedding and beautiful fabric accessories. 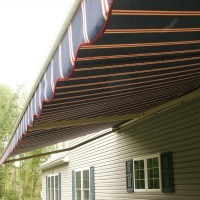 We offer a full range of custom fabric window treatments including traditional draperies, valances, swags, and cornices. Our talented designers also specialize in custom bedspreads, bed skirts, throw pillows, duvet covers, comforters, and unique fabric accessories. If you can dream it, we can make it!